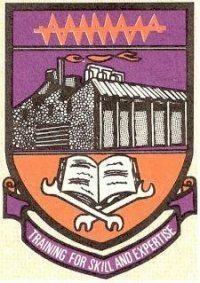 Federal Polytechnic Ado-Ekiti HND admission list for 2018/2019 academic session’s morning (full-time) candidates is out. The FEDPOLYADO HND admission list has been released by the management of the school. Therefore applicants can check their admission status online. This is to inform all persons who applied for admission into various Higher National Diploma (HND) morning programmes of Federal Polytechnic Ado-Ekiti that they can now check their admission status. The admission list has been released and published online. THE FEDERAL POLYTECHNIC, ADO-EKITI PROVISIONAL ADMISSION INTO THE HIGHER NATIONAL DIPLOMA (HND) FULL-TIME FOR THE 2018/2019 SESSION LIST. First of all, go to Federal Polytechnic Ado-Ekiti admission status checking portal at https://students.fedpolyado.edu.ng/Applicant/Admission/CheckStatus. Enter your Application Number in the required spaces. THAT IS HOW TO CHECK THE 2018/2019 FEDERAL POLYTECHNIC, ADO-EKITI PROVISIONAL ADMISSION LIST INTO THE HIGHER NATIONAL DIPLOMA (HND) FULL-TIME PROGRAMMES.